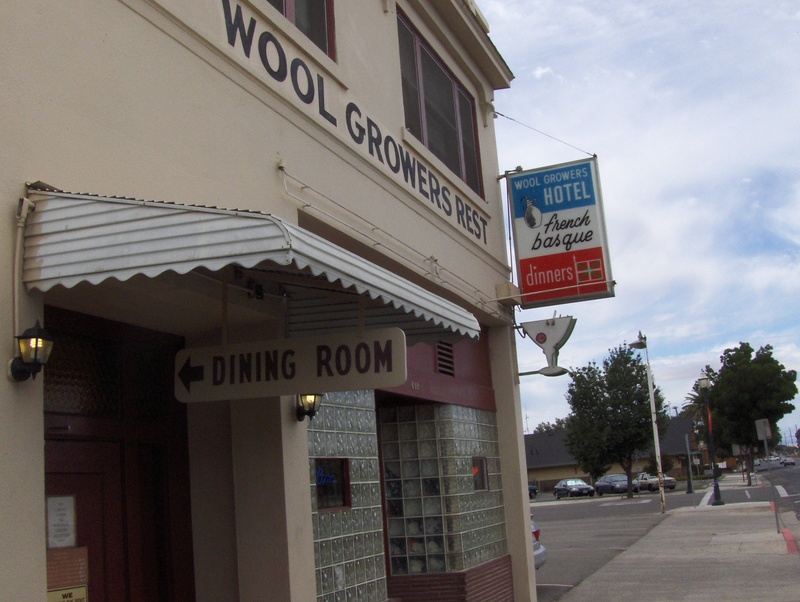 The Wool Growers restaurant and hotel has fed and comforted weary travelers for more than a century. I’ve lived most of my life in the Central Valley, and I’ve made more trips to the San Francisco Bay Area than I can count. From Fresno, I’ve often driven west on Highway 152 through Los Banos to get there. So when I think about Los Banos, a town of about 35,000 people in southwestern Merced County, my knowledge is mostly limited to a brief drive down the 152 strip. I know which Chevron has the cleanest bathrooms and which local diner has the cheapest two-egg breakfast plate, but that’s about it. 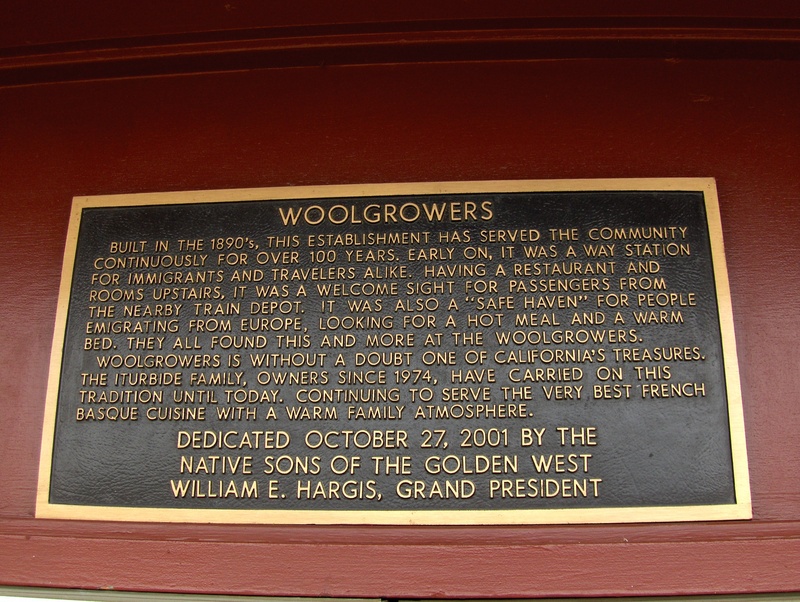 Wool Growers, on the corner of 7th and H streets. My colleague, Central Valley bureau chief Sasha Khokha, came up with the idea for the radio feature. She had always heard about the food at Wool Growers and wanted to try it, so when the hidden gems show came along it was a perfect fit. It was about five weeks into my ten-week internship, so we decided that I would take the lead on the sound gathering and interviewing, and Sasha would also record some sound as a backup. Also, since I was an intern, I couldn’t voice the piece on the air myself, so we decided that Sasha would be a character in the story that narrated the experience while we were eating and working. I was nervous throughout the reporting process, but the assignment turned out to be a natural choice for a novice like me. From the moment Sasha and I walked in, we were surrounded by great sound and colorful characters. I interviewed our waitress, who was one of the owners; a traveler who was there for the first time; a traveler who comes back every time he comes through town; a local father and son who take an afternoon off from their farm work once a month to treat each other to a feast for lunch; and of course, Sasha. She interviewed a second waitress, who was related to the owners, and two groups of locals who also frequent the place. I had no shortage of great material to choose from when putting together my final script. Here’s the link to the final radio story, voiced by Sasha. With the piece, I earned my very first credits for writing and producing a radio story. I also stuffed my face with a TON of Basque food. Red wine over ice cream? I’ve never thought of that! I really enjoyed your story, Jefferson. Will you have the chance to voice any of your radio pieces in the future? Thanks, Joy! Yep, I’m working on a story right now about Nikiko Masumoto’s Valley Storytellers Project that should air on The California Report in late February. A couple of new possibilities just came my way this week that I’m working on research and pitches for as well. Stay tuned!